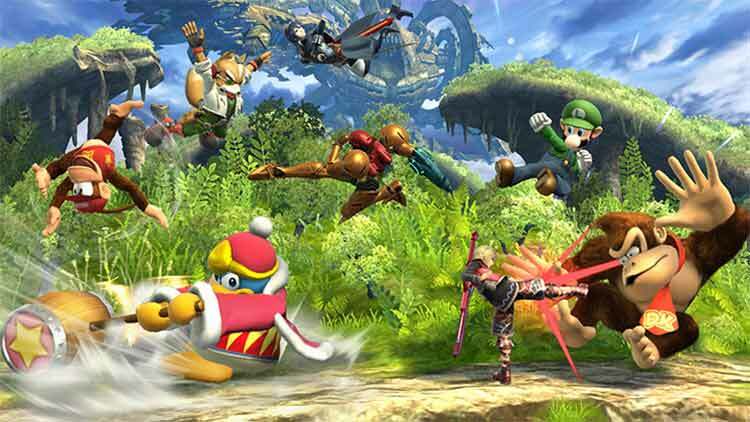 Super Smash Bros. for Wii U offers the most modes, fighters, and stages in the history of the franchise, with a surprisingly high level of polish across the board. Whether you prefer multiplayer or toughing it out against CPU fighters, you’ll find hours of excellent fun throwing down with your favorite Nintendo characters. In the end Super Smash Bros. is a great game. It is a game meant to be played by every one who has ever wanted to fight Mario versus Peach, and then some. But it is also more about the players who love just smashing the buttons to make their character do cool things, and that’s alright too. If you want a fighting game that is easy to get into and even easier to enjoy Super Smash Bros. for Wii U is the only fighting game you need to have. Super Smash Bros. for Wii U is the sequel you've been waiting for; a fighter that's as finely tuned and well-balanced as it is beautiful. The core experience of intense back-and-forth brawling is so spectacular that it makes the few lackluster modes feel more like unneeded extras than disappointments. Whether alone, with friends, or against equally skilled strangers, this Smash Bros. offers excellent fighting that's enduringly exciting. Some modes flop in Super Smash Bros. for Wii U, but the important thing is that the core game is expanded upon and significantly improved over entries in the franchise’s past. Its roster and stages are unmatched, and the variety of controller options is fantastic. 8-Player Smash wound up being far more fun than I expected it to be, and is destined to become a game night/party staple for years to come. It’s one of the best reasons to own a Wii U, and it’s easily one of 2014’s premier multiplayer experiences. After the 3DS version – which was still great, but simply didn’t present enough content – I had my reservations about Super Smash Bros. ...those who wish more than three friends could join them, or the player who likes battling it out globally, there’s a wealth of content wrapped up in some fantastic visuals, with spot-on gameplay representing the series at the best it’s ever been. Super Smash Bros. for Wii U is a beautifully polished, impeccably tight game. While I’d have liked more 3DS integration, and the much-touted Amiibo inclusion isn’t anything to go crazy over, Nintendo presents an absolutely stellar fighting game that I’m finding very difficult to tear myself away from. It’s packed with diverse content, can be tailored to suit anybody’s needs, and most important of all – it’s a ridiculous amount of bloody fun! I feel that I’ve only scratched the surface of the game. With so much content, numerous game modes, beautiful graphics and the seemingly endless collectibles to find, this is a game that can be played for not just months, but years to come. All in all, Smash Brothers for the Wii-U is by far the most complete package in the series. Not only is it an incredible party fighting game to casually play with up to 8 players, but it’s also a fantastic 1-on-1 fighting game for those who put in the time and dedication to master its mechanics. ...The Wii-U absolutely needed Smash Brothers to be spectacular, and fortunately, it is. ...for everyone else, this is the best Smash Brothers has ever been. It's arguable whether this is the most polished version of Smash Bros., particularly compared to Melee. However, this is easily the most fun I've had with this series to date and one of the best games I've played this year. When I’m playing Smash Bros. with my friends, nothing can be better. 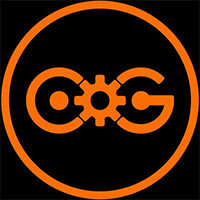 We scream, we argue, we laugh, and we never want to stop. The Wii U version is a fantastic addition to the series. The new modes are great, but the excellent mechanics and huge, varied roster make it potentially the best entry in the franchise yet. There was little doubt Nintendo would deliver its absolute best with Super Smash Bros. for Wii U, but somehow the Japanese company has managed to blow past the expectations for a title of this magnitude. Gorgeous, addictive and absolutely exploding with content, this is the ultimate Super Smash Bros. experience. ...Super Smash Bros. for Wii U is a perfect poster child for the charm, polish and pedigree Nintendo is known and adored for, and should be celebrated as such. While I had a great time playing through the 3DS version, I must say the Wii U version, as expected, blows the former out of the water. From amazing visuals, to excellent and smooth gameplay, to a variety of old and new modes, to the Amiibo figures to a bigger selection of music scores across many Nintendo franchises, the Wii U version provides fans with the best version of the game, hands down. Smash for Wii U is also gorgeous, running at a virtually perfect 60 frames per second. ...It’s definitely an improvement over Brawl and the recent 3DS counterpart, though Nintendo could still learn a few things from Melee to include in future installments, like adding a competent adventure mode back into the mix. As it stands, Super Smash Bros. for Wii U is special game, and one of the best multiplayer experiences available on any system. At the same time, it's surprisingly easy to have someone join you for co-op midsession or transfer over to multiplayer matches when a third person shows up, and since basically any match counts for unlocking you don't feel like you're not getting anything. Smash is as good as a video game gets - it's fun, accessible, easy to play, and absolutely packed with features at its price point. With or without classic Gamecube controllers, regardless as to whether you invest in amiibo figures or not (notice I haven’t mentioned them much in this review), and whether or not you even know who these characters are, Smash is fun. That’s one of the most boring words to use in a video game review, I know, but I can’t sum it up any other way. Nintendo’s developers made it an obvious objective and they’ve unequivocally hit the motherload. You’ll feel like you did too, so make sure you’re tossing opponents off-stage to explore it all. 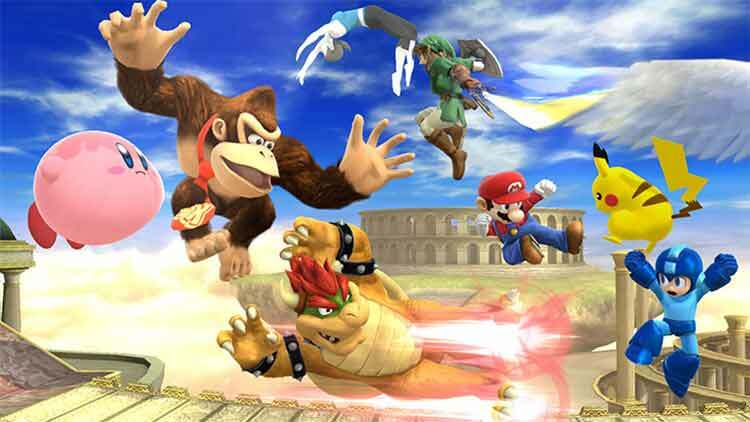 Super Smash Bros. for Wii U is yet another stellar entry for the Wii U lineup. Nintendo is firing on all cylinders right now, and with one more release to go before 2014 ends, they look to have the must-own exclusive lineup out of all three current consoles. Smash is yet another reason to own Nintendo’s machine, and anyone looking for a fun romp would be wise to pick it up, along with some Gamecube controllers for maximum enjoyment. Poor internet functionality is, thankfully, a blight on an otherwise incredible game. 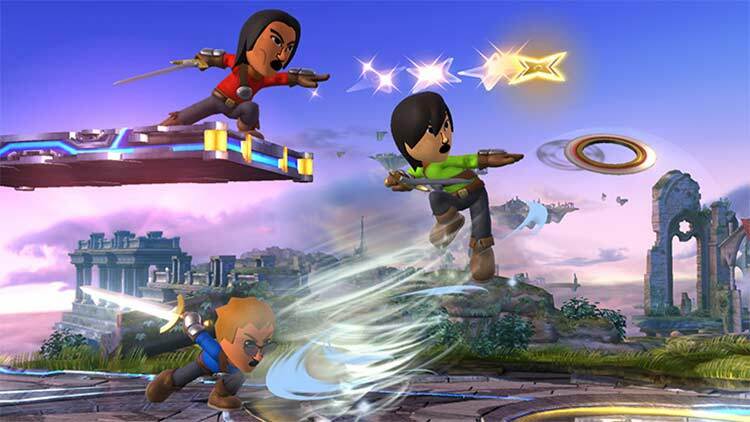 ...With the Wii U release, Smash Bros. has fully realized its goals. There’s something here for nearly everyone--from young to old, from novice to expert--presented almost without compromise. Super Smash Bros. Wii U invites everyone to join in its undiluted, joyous celebration of the broad community that Nintendo has built over the past forty years. This is a smarter, more focused blast of fighting mayhem, confident in its ability to appeal to any audience willing to give it a chance. Online play is robust and reliable, enabling players to quickly and easily get in a silly or competitive match — and stay there, to boot, with series-best performance. Super Smash Bros. for Wii U is an expertly crafted, deep fighter that is a pure joy to play no matter your skill level. At the end of the day, it's Smash Bros. any way you look at it. It's not longer the floaty fighter that Brawl was and instead now sits at a comfortable mid-ground between Brawl and Melee. The roster is huge and diverse, with very few clone characters this time around. It's still one of Nintendo's most innovative and extremely fun party games to date, and anyone with a Wii U has surely been looking forward to its release. It's not perfect, but it certainly comes close. Much like the 3DS game from earlier this year, Super Smash Bros. for Wii U has shown itself to not only live up to the hype but exceed it with relative ease. This is based both on the core gameplay, which is about as solid as it has ever been, and the ridiculous amount of content that was included. You could spend dozens of hours making sure you collect every trophy featured in the game only to turn around and do the same to unlock every Challenge, or Event Match. Everything about it is pure fun, from the variety of modes to the incredible soundtrack to just sitting down with some friends and beating each other to smithereens. There wasn't a single minute while I was playing this game that I wasn't smiling, oohing, or aahing at something, whether it be a new detail in a stage, or a big time move pulled off by another player. Nearly every aspect of Smash Wii U seems fine-tuned not only to appeal to the nostalgia of long-time Nintendo fans, but also to be accessible to new players. Once they’re hooked, it draws them in deeper with a set of great modes and tempting rewards. There’s just so much here, and I’ve rarely seen a game with so many enjoyable and replayable ideas in a single package. In addition to the photo mode there is also a video function included. And if you still feel like you haven't gotten enough bang for your buck, there is also an online mode included. Nintendo has made the series fit for a new generation, and the potential for developing a serious addiction is greater than ever before. Super Smash Bros. for Wii U is a masterpiece, and the game that every fan wished and hoped Nintendo would make. Jugabilidad, personajes y modos de juego maravillosos. Gloriosos combates para hasta 8 jugadores. Es todo lo que esperábamos y más. Tanto si lo juega una persona como si lo juegan ocho, su magnífica jugabilidad y sus extensísimos contenidos son garantía de cientos (o miles) de horas de diversión. El mayor imprescindible de Wii U. Era mucha la expectación que había con esta nueva entrega de Super Smash Bros., especialmente con su versión para Wii U, pero Nintendo lo ha vuelto a hacer y ha sabido estar a la altura de lo esperado con un juego prácticamente infinito y al que pocos títulos sueñan siquiera con hacerle frente a la hora de divertirnos jugando con nuestros amigos. Super Smash Bros. para Wii U no tiene la capacidad de sorprender que tuvo el imponente Brawl, pero supone un empujón más hacia el refinamiento total, y el resultado es uno de los juegos que mejor se dejan jugar.... Es artesanía. Queda claro que aquí hay algo para todo el mundo, sea un experto en la saga o un neófito que no tiene ni idea de mandos: Wii U ya ha despertado de su letargo, y Super Smash Bros. es la mejor prueba que hay. Por supuesto, no puede ser Melee 2.0, pero tengo fe en que el juego, que es excelente, variado, lleno de contenido y posibilidades, por fin desplace al viejo y venerable brawler de la escena competitiva, al menos por la sana necesidad de variar y dejar el pasado atrás. Ciertamente, no es perfecto, pero es una propuesta que equilibra de manera estupenda la necesidad de diversión y las aspiraciones competitivas que de manera natural existen en cualquier videojuego. 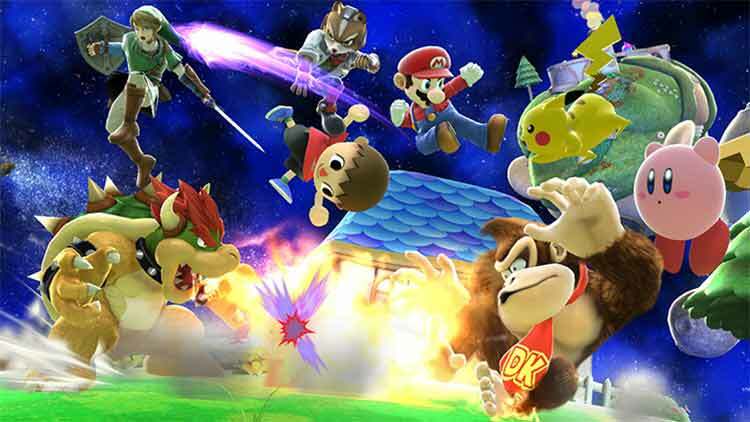 Smash Bros para Wii U es un título que se define de una manera: gigantesco. Es abrumadora la cantidad de contenido y horas de diversión que ofrece. Mantiene la base de la franquicia intacta -con cambios y matices- y una mecánica de juego dual: por un lado, accesible a todo tipo de jugadores gracias a la sencillez de sus controles; por el otro, lo suficientemente profunda para atrapar también a nivel competitivo como cualquier otro gran juego de lucha. La fantasía nintendera vuelve a hacerse realidad con la versión de sobremesa de Super Smash Bros. El título de luchas no falta a la cita, ofreciéndonos jugabilidad combativa frenética, directa y divertidísima, tal y como lo lleva haciendo desde hace 15 años. ...Un poderoso puñetazo "fan service" que sin innovar en exceso ni despuntar con respecto a la versión de 3DS consigue lo más importante: renovar las ganas para que echemos otro Smash. Was für ein Monstrum! In punkto Umfang steckt Super Smash Bros. fast die gesamte Prügel-Konkurrenz in die Tasche. Über 50 Nintendo- und Videospiel-Stars warten darauf, dass man ihre aberwitzigen Attacken in zahlreichen Modi erforscht und perfektioniert. Auf Wii U steuert sich das technisch saubere Gemetzel eine ganze Ecke besser als auf 3DS und die Einzelspielermodi haben mich hier deutlich länger motiviert als auf dem Handheld. Kurze Minigefechte erfolgen mit deutlich spürbaren Pausen und entziehen das flotte Tempo der 3DS-Variante. Smash Tour wirkt wie ein erzwungener Fehlversuch, Kunden einen weiteren Grund für den Kauf beider Versionen zu geben. Lieber hätte ich mir eine neue Kampagne ähnlich der aus Brawl gewünscht, die hier allein durch Abwesenheit glänzt. Parce que derrière l'emballage sucré, la moustache qui défrise et la naïveté confondante se dissimule un univers de nuances, un océan de possibles, que l'on continue d'explorer jour après jour comme tout bon jeu de combat qui se respecte. Du moins les meilleurs. Une mécanique trop flottante et variable pour qu'on la qualifie "de précision", mais tellement léchée par ailleurs qu'on en sort la langue râpeuse. Avec un Super Smash Bros. for 3DS puant déjà le talent, il fallait être complètement fou pour penser que le jeu n'allait pas tabasser sur Wii U. Même après avoir passé des heures à placer des Smash sur la console portable de Nintendo, le plaisir demeure intact tant les possibilités semblent infinies ; comme si Super Smash Bros. for Wii U était un éternel renouvellement. "Super Smash Bros. 4" déborde d'affection pour le jeu convivial et, soigné dans ses moindres détails, il ébahit par son rendu graphique et sa technique irréprochable. 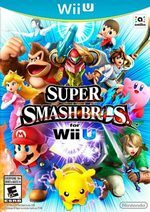 Tellement généreux et développant une science du divertissement telle qu'on en rencontre exceptionnellement, Super Smash Bros. pour Wii U est un titre colossal et absolument indispensable. Super Smash Bros. for Wii U est très, très proche de la perfection. Jamais un jeu de combat n'aura proposé un contenu aussi dense, que ce soit en solo, en coopération ou en multi compétitif. ...Avec une utilisation intelligente des amiibo, un online qui ne demande qu'à s'étendre ou encore une bande originale qui tient du record, il s'assure une place de choix non seulement sur Wii U, mais sur consoles en règle générale. Bref, un jeu qui prend les joueurs au sérieux et qui fait tout pour leur plaire. A Nintendo trabalhou para que este título se tornasse uma experiência rica para multijogador e responder desde cedo aos adeptos da competição e ao apelo online dos seguidores. Assim, este Smash Bros. foi produzido para se tornar num pilar da Wii U e perdeu aquilo que caracterizou Brawl e que seria, de certa forma, de esperar para esta nova versão: uma experiência a solo bastante rica que fosse além de combates com condições especiais. A proeza maior de Sakurai e da Sora Ltd. em Super Smash Bros reside na criação de um "fighting game" com as coordenadas típicas de um jogo "party", comemorativo da prata da casa. De uma simplicidade que não se confunde com ausência de ideias e sistemas de jogo, mas também um desafio sólido e divertido, sem alienar os fãs ou se tornar num jogo de culto, ao alcance de uma minoria. Super Smash Bros. reveste-se da melhor tradição da Nintendo e faz de cada combate frenético uma página da história da companhia. Super Smash Bros. per Nintendo Wii U è un gioiello incredibile. Nintendo si è presa la libertà di modificare alcuni elementi classici dell'amatissimo Melee, ma ha comunque realizzato un gioco in grado di soddisfare sia gli utenti casual che i pro incalliti. 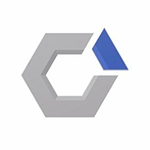 Settimana dopo settimana, la community sta scoprendo nuove tecniche da sfruttare per migliorare le prestazioni competitive, dettaglio che denota la complessità e la maturità del gioco. Tecnicamente il gioco è di una pulizia più unica che rara: mai un rallentamento, mai un’incertezza, mai un’imprecisione nei controlli piuttosto che nell’aggiornamento dello schermo. ...Come ovvio, la speranza è che il gioco funzioni alla grande anche online. La versione per 3DS, sotto questo punto di vista, è risultata balbettante. Speriamo che su Wii U funzioni meglio. Detto questo, il gioco vero e proprio è a prova di Smash Finale, divertentissimo da soli e micidiale in multiplayer. Non ha lo spirito brillante e innovativo che ha contraddistinto Mario Kart 8. Eppure questa su Wii U è la versione definitiva di Super Smash Bros.: la più completa e dettagliata, capace di rivolgersi ad una platea vastissima, donando la stessa attenzione al giocatore invasato e a quello occasionale. Con questo episodio, Sakurai ha dato forma completa e ultima alla pazza visione avuta quindici anni fa. Nintendo had aardig wat waar te maken. Sinds de aankondiging van deze game gooit regisseur Masahiro Sakurai kolen op het vuur van de Hype Train met zijn dagelijkse screenshots, teasers en cryptische opmerkingen in Nintendo Directs. De arme man heeft zich bijna het graf in gewerkt met de nieuwste smash, maar het is hem wel gelukt; Super Smash Bros For Wii U is meer dan de moeite waard.Super Smash Bros for Wii U is zonder twijfel de beste game voor de Wii U dit jaar. Super Smash Bros. for Wii U is alles wat je van een Smash Bros.-game verwacht. Gameplay die niet staat als een huis maar als een bunker en bergen content die je op een trip van dertig jaar gamegeschiedenis meenemen. Aangevuld met graphics die je voor de Photo Mode dankbaar maken en honderden muziektracks die je met nostalgie vervullen. Super Smash Bros. for Wii U is alles wat het moet zijn en dat kan maar met één score beloond worden.